You may have recently experienced some difficulties and failures which have evoked sadness and depression in you. 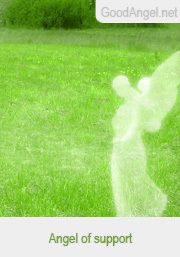 The presence of the angel of comfort means that even in the most difficult and hopeless situation, you can count on angelic support. This angel gives you reassurance and helps you to forget about the problems of the past, opening you up to a new, happy life. Remember that even unpleasant situations in life provide a valuable lesson which you can learn from to help you in the future. 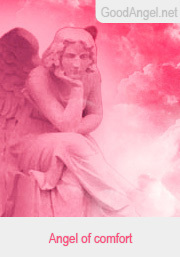 Most likely, the presence of the angel of power means that you will soon experience a difficult time in your relationship and will have some ups and downs. But you cannot give up - believe in yourself and your partner, and you will build a happy relationship. The presence of the angel of power is also a signal for single people – you currently lack the courage, boldness and self-confidence to find the ideal partner. This angel gives you encouragement and reminds you of your inner strength, helping to open you up to a better social and emotional life. Financial difficulties never last forever. Never give up fighting for your goals. 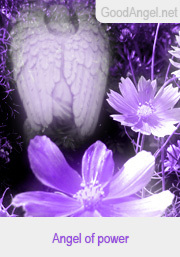 The angel of support supports you in making the right decisions in finance, business and work. His presence is also a good opportunity for you to start something new that will be of considerable economic benefit.